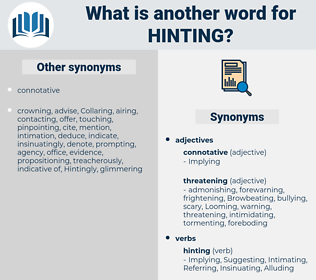 What is another word for Hinting? 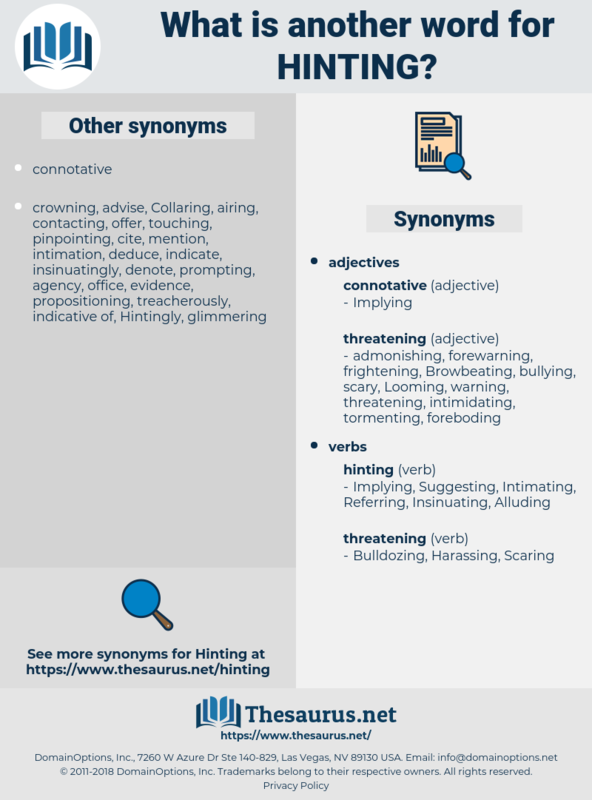 Indicating, pointing, Mentioning, Suggesting, threatening, insisting, Explaining, Noting, Citing, Implying, reference, signaling, Alleging, Alluding, stressing, assuring, arguing, Referring, refering, saying, Stating, Adding, talking, waving, hearing. She went on with a little laugh: I didn't like to question him too closely, for fear he'd think I was looking a gift horse in the mouth - or else hinting for more. He had got as far as hinting that I - he put a good deal of emphasis on his 'you' - ought to have jumped at him!